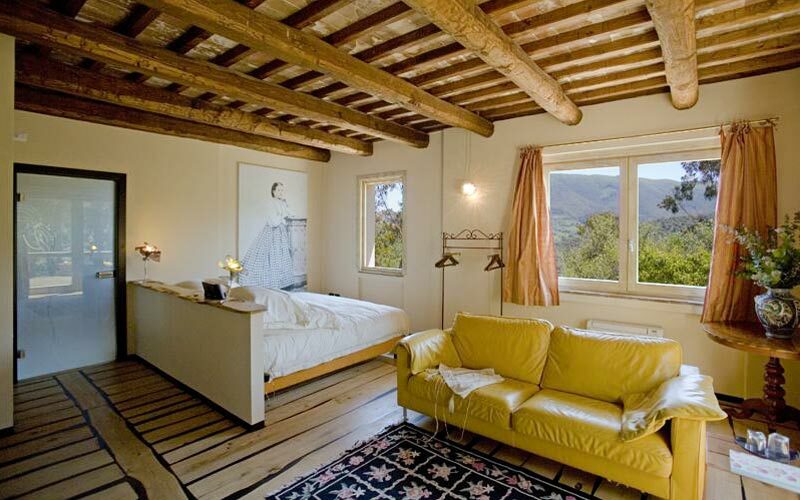 Suites with Wi-Fi, iPod and panorama included! 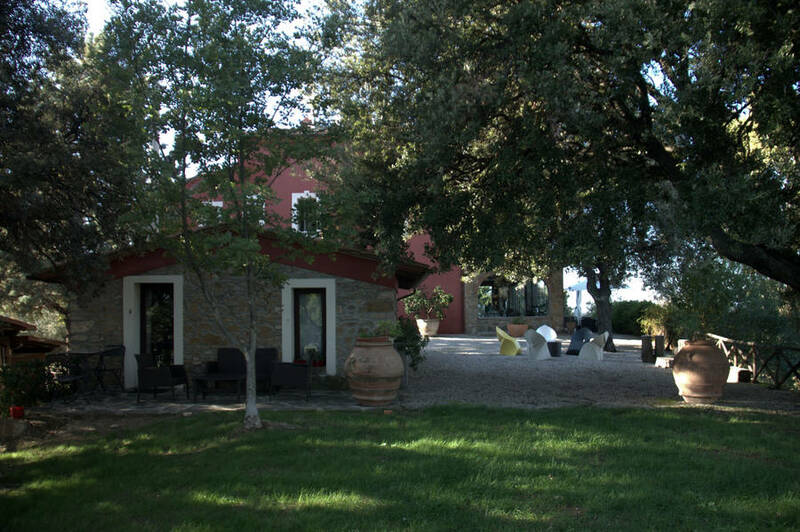 Rolling hills, ancient woods, a large olive grove and a country house in the heart of Maremma. 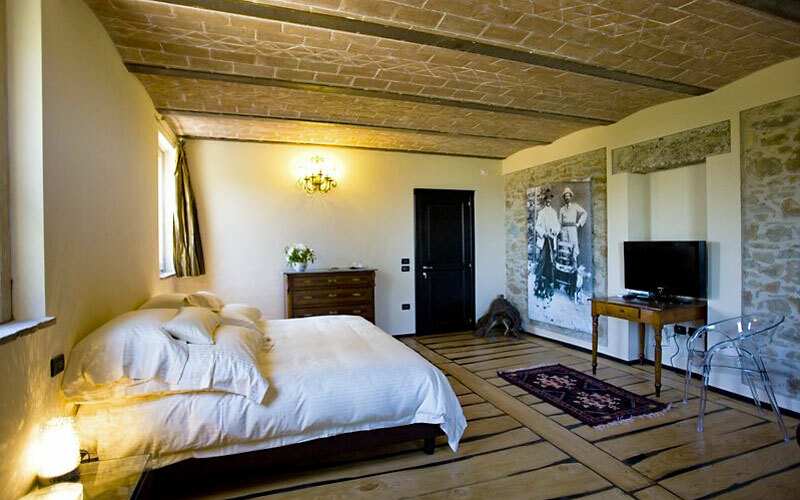 Relais Vedetta is everything a traditional Tuscan hideaway should be - with more than the occasional contemporary twist! 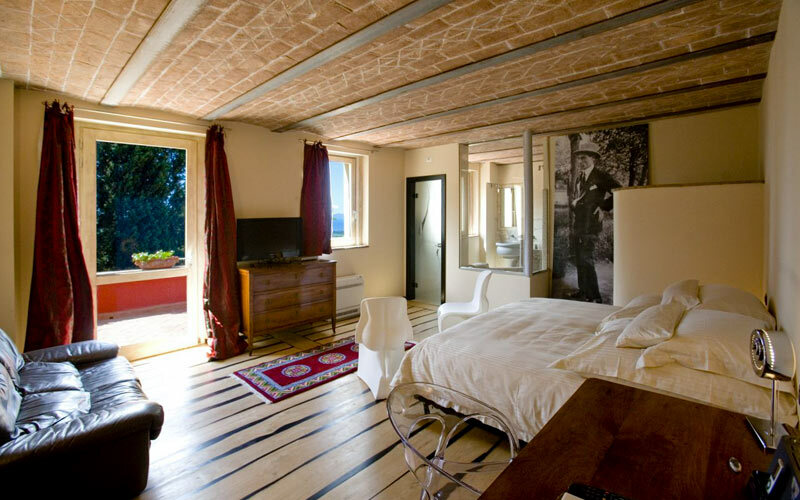 A typical Tuscan manor house in the heart of Maremma, Relais Vedetta sits on the top of the hill of Poggio La Forcola, from where the view extends across the countryside all the way to the sea. Six suites, six characters, six stories. 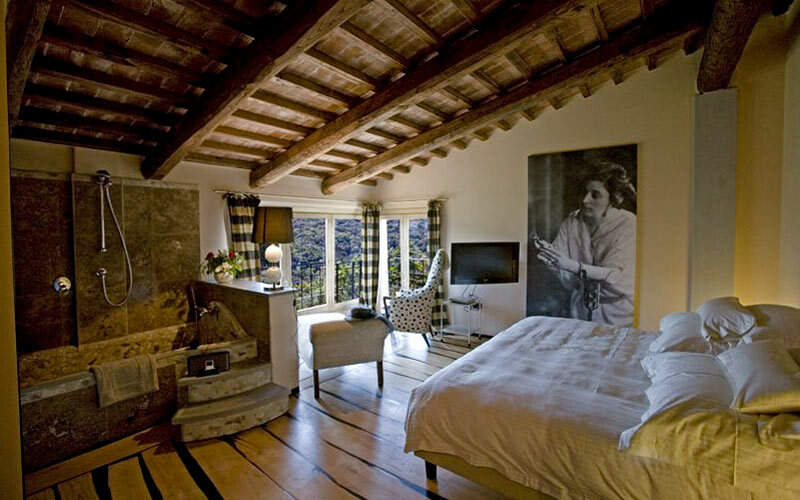 Each of Relais Vedetta's rooms tells a tale in which the past mingles with the present, 18th century antiques with designer furniture, marble with glass. 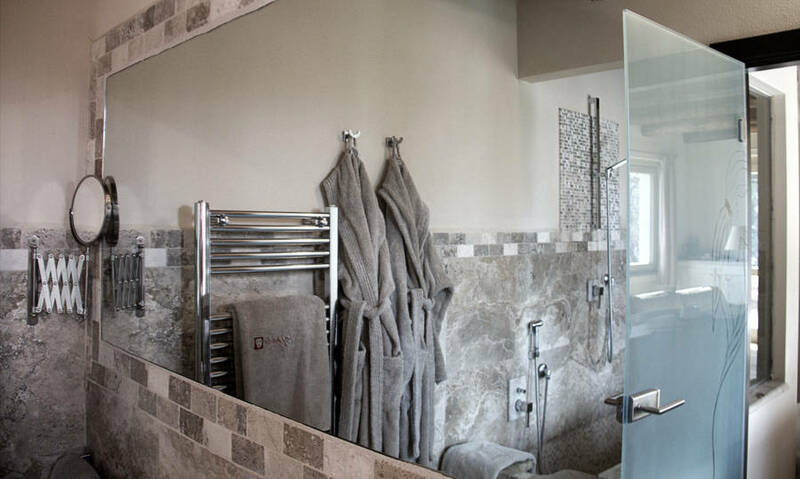 Romantic and hi tech too, all rooms have wonderful king size beds as well as iPod stations, Lcd televisions and free Wi-Fi. Choose your playlist when you book your room and on arrival, together with your key, you'll be given your own personal iPod! 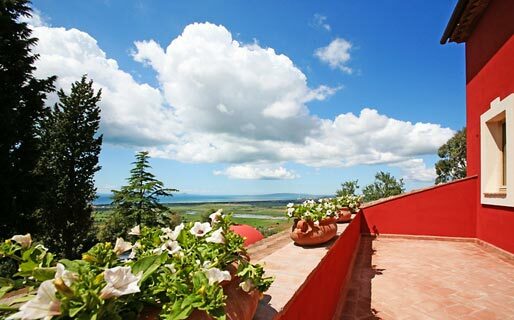 From the windows, balcony or terrace of your suite, you'll be treated to the most magnificent views of the gardens, the countryside of Maremma and, in the distance, the sea washing the coast of Follonica. From May to September, Relais Vedetta's talented chefs, Laura Pacenti and Beatrice Tosi, prepare delicious local dishes, accompanied by a faultless selection of the region's DOC wines. Once a week, guests are given the opportunity to attend a gourmet tasting dinner: the perfect introduction to the flavors and aromas of Tuscan Maremma. Tantalizing glimpses of the sea can be seen from the portico too. 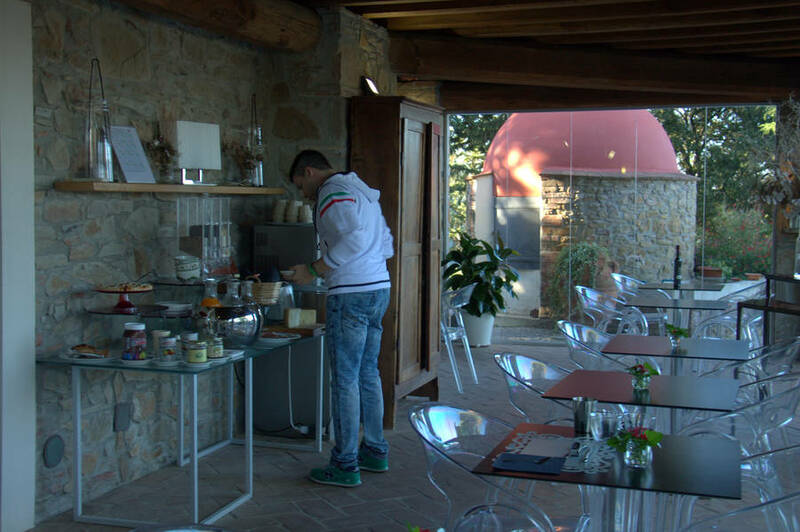 This is where, in the shade of the loggia, a delicious breakfast of homemade cakes, fresh fruit and typical treats made in Maremma is served each morning... until late. An oasis of peace and tranquility amidst the olive trees, Relais Vedetta's lake-like swimming pool is the perfect spot in which to pass the time of day, relaxing in the Tuscan sun until it sets in a spectacular display of red, pink and orange, over the nearby island of Elba. 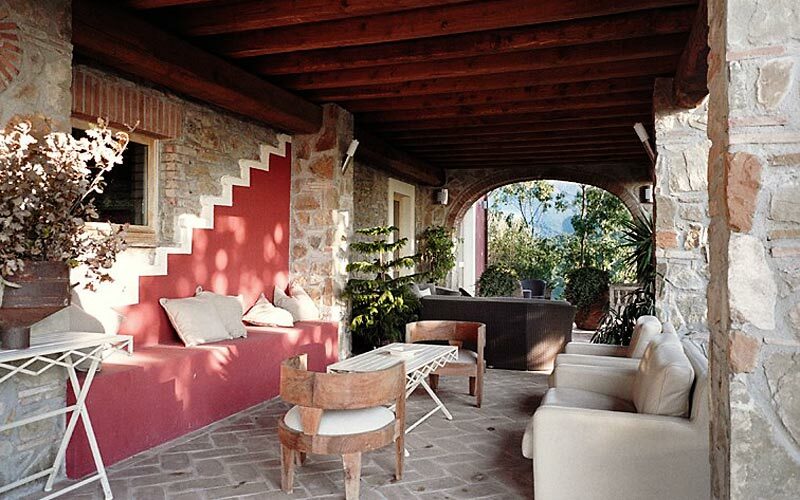 Relais Vedetta: a country house in the heart of Maremma. 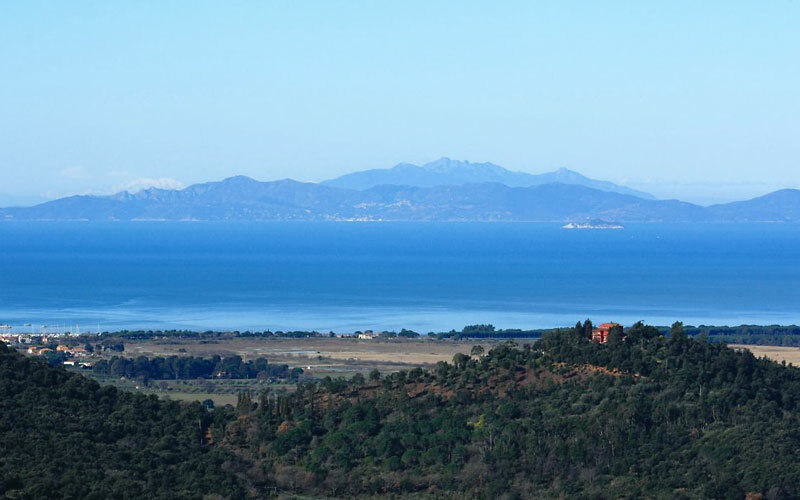 On one side the glorious wooded landscapes of Tuscan Maremma, on the other the small village of Scarlino and, in the distance, the sea washing the shores of Follonica and the island of Elba. 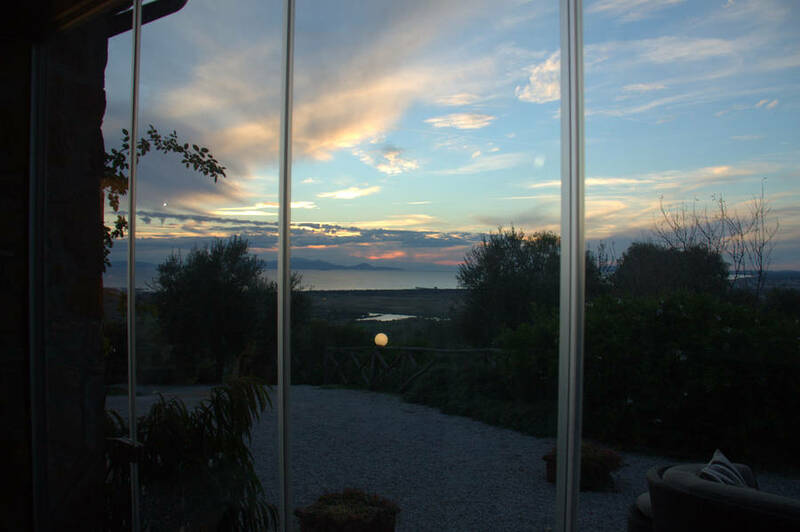 By car, in about 30 minutes, you can reach the seaside town and port of Piombino, the Maremma Park, Massa Marittima, Castiglione della Pescaia and Marsiliana. It will take you about 40 minutes to drive to, the nearest city, Grosseto. 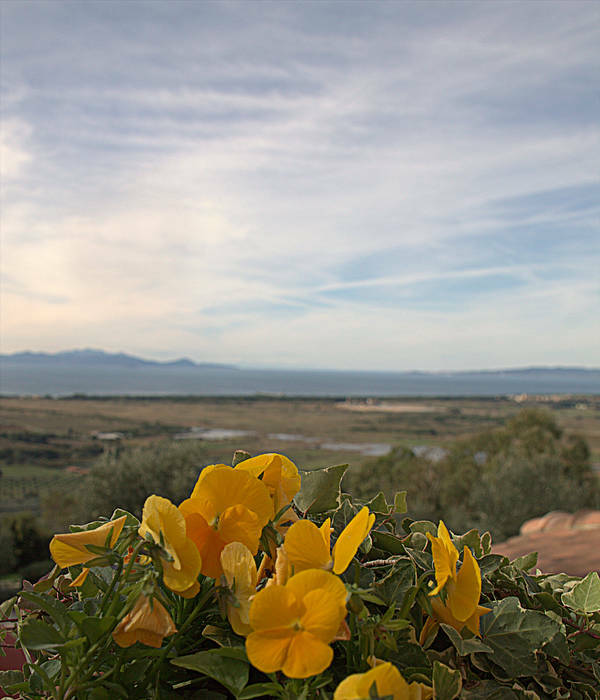 The Maremma is still a genuine land where the scenery is different and exciting . Nature is the mistress: a vast territory that in just 100 km offers wonderful sea and a mountain over 1700 meters high. Wine and local product are excellent.